Urban Simplicity: Salt Cod and Potato Fritters! Salt Cod and Potato Fritters! I don't have a lot to say about this recipe other than the fact that it is really easy to make and really super delicious. Okay, I lied, I do have a couple things to say about it. This is another recipe I'm testing from this book which I'm currently reviewing. This is the Middle Eastern version of a recipe that is universal nearly the world around. 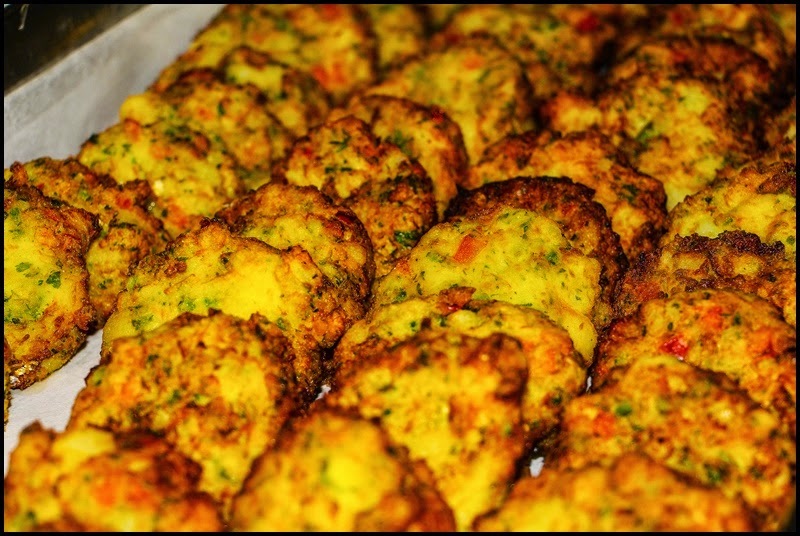 There are versions of salt cod-potato fritters in all of the Mediterranean countries, Central and South American, and much of the Caribbean. Yup, it's that good. Being the Middle Eastern version, I ate this with cucumber-yogurt sauce and spicy red pepper puree, but any of your favorite dip would work. But to be honest, they are delicious as is or just with the squeeze of a lemon or lime. Soak the cod in plenty of cold water for 4-6 hours—changing the water a couple times—to remove the saltiness. Dice the cod, and then shred it with your fingers, then place it into a bowl with the potatoes. Mix the potatoes and cod together, then add the remaining ingredients and mix together until thoroughly combined. Scoop small amounts of the mix onto a sheet-pan that has been lightly floured, and shape them into small patties. Heat about ¼-inch of vegetable oil in a large skillet over medium-high heat. 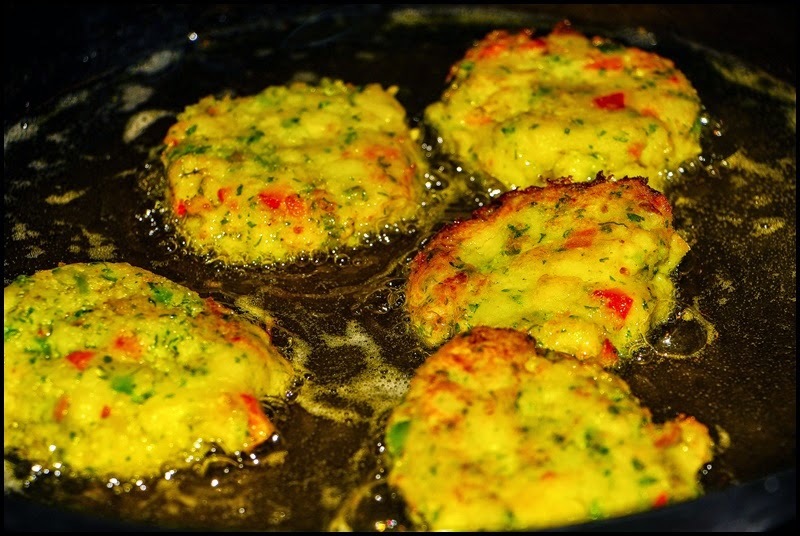 Cook the patties for a few minutes on each side—in batches, if necessary—or until golden brown and cooked through. 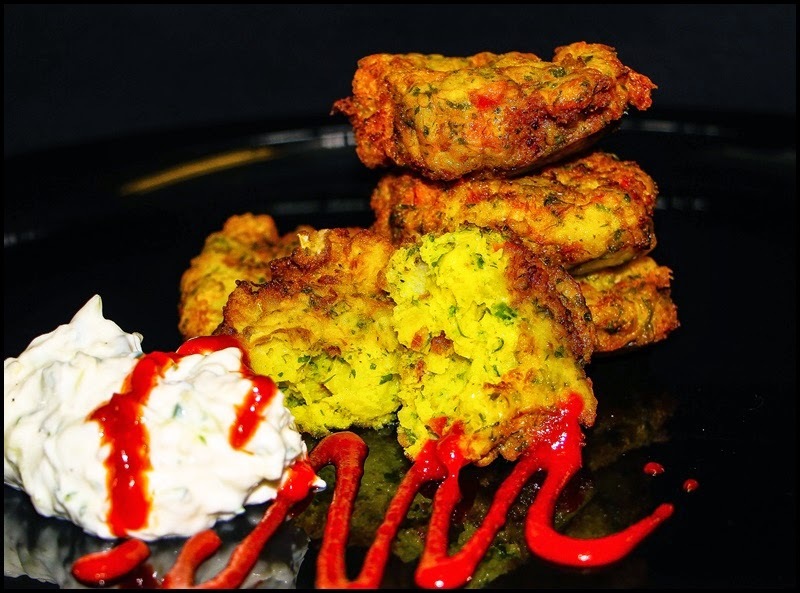 Transfer the fritters to absorbent paper and serve while hot.